Emma L. (Borem) Alkire, 73, of Stilesville, passed away peacefully on August 18, 2018 with her loving family by her side. She was born to Tillman and Sibyl (Sheffer) Borem on August 30, 1944 in Rensselaer, IN. She grew up in Morocco, IN and graduated from Morocco High School in 1962. She married Clark E. Alkire on October 27, 1962. Emma is survived by two loving daughters, April (Bob) Stevens of Monrovia and Anita (Brad) Hickam of Avon; five loving grandsons, Andrew (Courtney) and Steven (Blair) Hickam, Robby, Nicholas and Zachary Stevens; four great-grandchildren, Emery, Macy, Carter and Cora; three sisters; and two brothers. Emma is preceded in death by her parents; husband; and a brother. Emma and her husband, Clark, owned and operated Alkire Acres U-Pick Berry and Christmas Tree Farm for 10+ years. She was a member of Fairfield Friends Meeting. She was a Trustee for Fairfield Cemetery for many years. 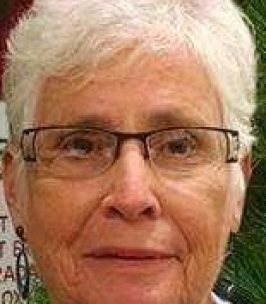 She was very active in Morgan County Farm Bureau, Inc. She served on the Morgan County Soil and Water Conservative District Board for several years. She was an active volunteer for the Indiana Sports Corp. She was a Pacers fan and enjoyed attending the games. Family and friends may show their love and support from 4-8 p.m. on Friday, August 24th and 10-11 a.m. on Saturday, August 25th at Jones Family Mortuary in Mooresville. Sylvia Graves and Gene Carter will officiate Emma's celebration of life service at 11 a.m. on Saturday, August 25th at Jones Family Mortuary. Emma will be laid to rest in Fairfield Cemetery with a private family burial at a later date. Please consider donating in Emma's memory to AITC (Ag In The Classroom) Morgan County Farm Bureau, Inc., 759 Plaza Drive, Martinsville, IN 46151-3234. To send flowers to the family of Emma L. Alkire (Borem), please visit our Heartfelt Sympathies Store. We encourage you to share any memorable photos or stories about Emma. All tributes placed on and purchased through this memorial website will remain on in perpetuity for future generations. My deepest condolences to the Alkire family. Emma was a beautiful person with a soul to match. Well done faithful servant.